The best Petit Corona in all the world! Great flavor, naturally sweet taste & aroma from well aged tobacco. The burn rate is perfect. This cigar doesn't even need a band. It provides a long & enjoyable smoke for a small Carona. I smoke it down as far as possible. The same goes for their Exquisito Maduros which, in my humble opinion, has to be one of the finest little cigars on the planet & Arturo Fuente provides the best size choices of any other manufacturer. My reaction?...Satisfaction! Five*****s +! This has become my everyday cigar. Mild, burns very well, great aroma. You can't find a better smoke for the money. Try one, you won't be sorry...! 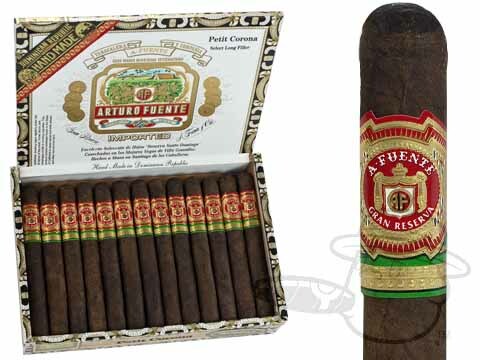 Arturo Fuente Petite Corona Maduro is rated 4.8 out of 5 based on 4 customer ratings.